Reema Kagti and Rajesh Devraj’s story is surely something that deserves to be told. Of course, it has been dramatized and slightly fictionalized but it’s done well. Reema Kagti’s screenplay is topnotch and she keeps viewers captivated. However a few sequences could have been shorter and crisper. Also a few scenes give a heavy déjà vu of CHAK DE INDIA . Reema Kagti’s dialogues are sharp and acidic and give the right punch. Reema Kagti’s direction is neat and uncomplicated. The match scenes are very nicely presented but at a few places, some of the cliches could have been avoided. But it’s praiseworthy how she took the film on a high in the finale. The national anthem scene would surely move viewers and it doesn’t seem forced. The patriotic fervor comes out perfectly! GOLD has a terrific commencement. The 1936 Olympics finale is very well shot and the pain of standing for a foreign national anthem comes out very well. The opening credits don’t make the desired impact but the film gets on track once Tapan starts getting the players. The entire bit of Raghubir Pratap Singh stripping after seeing an impoverished person is lovely. However the best sequence of the first half is the Partition sequence involving Imtiaz. Heartbreaking! Post interval, the Kanheri Caves sequence involving a mute priest is great and will bring the house down. Another sequence worth mentioning is Samrat compelling the players to pick up bricks to teach them a lesson in unity. The film however also gets a bit long and a song or two could have been done away with. But the climax makes up for it. The tension and drama in the last twenty minutes would surely keep you hooked. 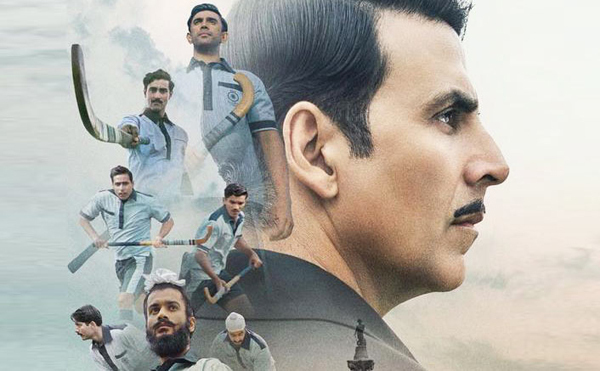 Akshay Kumar might not be playing hockey in the film (save for one brief sequence) but he rocks the show. One can feel his passion and pain when he goes about convincing people that how important it is for India to win the gold. Even his comic timing is spot on, as always. Mouni Roy (Monobina) has an excellent screen presence and lights up few sequences. Unfortunately her role is limited. Kunal Kapoor looks every inch a star player and it would have been great if he had more screen time. Amit Sadh gives a brilliant performance and gets to play a very interesting character. 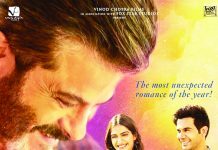 Sunny Kaushal is the surprise of the film. His track is very touching and he’s sure to win hearts! His outburst in the pre climax is too good. Vineet Kumar Singh also wins hearts. His performance as expected shines and he gets to play a very memorable character. His track and the way India-Pakistan aren’t shown as rivals as it usually happens is a beautiful aspect of the film! Nikita Dutta (Himmat’s girlfriend) is cute and does fine. The actors playing Mr. Mehta and Mr. Wadia are decent. The songs are melodious and peppy but few of them are forced. ‘Naino Ne Baandhi’ works as it’s nicely shot. ‘Chad Gayi Hai’ is forced and looks very much like ‘Monobina’ played earlier. ‘Ghar Layenge Gold’ and ‘Khel Khel Mein’ are okay. Sachin-Jigar’s background score however is in sync with the film’s moods and even elevates impact. Alvaro Guierrez’s cinematography is quite appropriate and helps a lot in simplifying the hockey scenes. Paul Rowan and Shailaja Sharma’s production design is outstanding and the duo recreates the bygone era authentically. But the VFX in the match scenes is bad, especially the spectators bit. Payal Saluja’s costumes are also quite realistic. Aimee Mcdaniel is the sports coordinator and he also deserves praise for his work. Anand Subaya’s editing is great, especially in the match scenes. On the whole, GOLD is a brilliant, touching saga that would surely entertain viewers and make them hoot for the retro men in blue. At the box office, it is sure to strike Gold! Highly recommended!